June 2, 2016 June 2, 2016 backlogadventures Gaming, Guides, Heroes of the Storm, Will H., World of Warcraft	Arts, Backlog Adventures, Blizzard, Chromie Heroes of the Storm, Entertainment, Gaming, Guides, Heroes of the Storm, HOTS, HOTS Guides, Video Games, Will H.
So, how did you like my guide on Chromie? Did you find it informative? What do you mean “I haven’t read it”? Oh, right. I forgot that I could time travel and that this version of you, dear reader, hasn’t delved into the deep, dark secrets that my guide has to offer. A few years ago, some of my most pop culture-obsessed friends and I started a yearly Oscar pool. None of us are professional entertainment or show biz types, and the stakes are low, but the thrill of the win is an incomparable high. I should know — I’ve won more pools than any of my friends. I’m not bragging, this is just a statistical fact. Do you hear that sound, mortals? It’s the call of the Earth, beckoning you back to Mother Gaia. Err… Sorry. That was just my cell phone. False alarm. July 17, 2015 July 20, 2015 backlogadventures Gaming, Guides, Heroes of the Storm, Will H.	Arts, BacklogAdventures, Game Guides, Gaming, Guides, Heroes of the Storm, MOBA, Murky, PC, Video Games, Will H.
Welcome to the first of many Backlog Adventures guides, this time covering Blizzard’s new MOBA sensation, Heroes of the Storm. 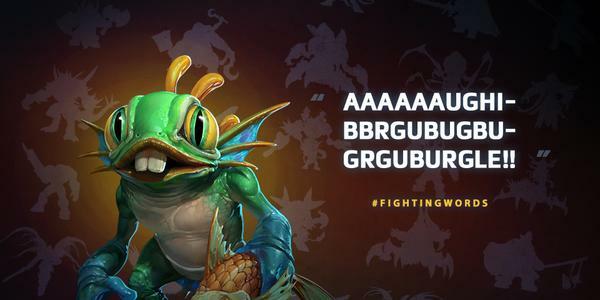 Today, we shall be covering a misunderstood and often underestimated hero, the Murloc specialist, Murky.